An authentic mermaid corpse, or rather the remains of an unusual seal? 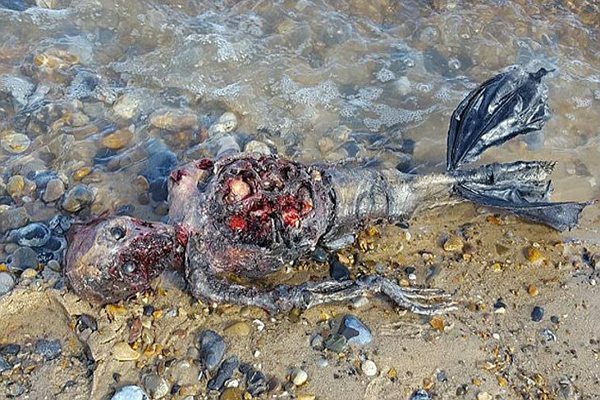 A man in the UK claims to have found the very evidence we were all looking for – the decomposing body of a deceased mermaid. Paul Jones took the video and photos of this unusual creature while taking a walk on a desolate beach in Norfolk, England. He immediately made the images available on social media, and tens of thousands of people shocked by his discovery decided to spread the word of this long-awaited mythological creature. 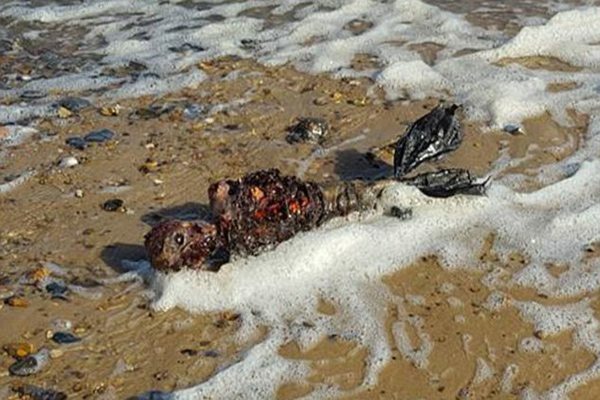 Today at Great Yarmouth we found what looks like a dead mermaid washed up on the beach," Paul wrote on his initial post. The alleged mermaid corpse has striking human features. Its crumbling body is still reflecting what appears to be superior members, a fish tail, and on top of it an extremely familiar feature – a human-like head. After posting the pictures online, many came to speculate on its true origins. While some are convinced of its authenticity, others have stepped forward claiming that it could be the corpse of a dead seal, but a very unnatural seal if you ask me. Others pointed out at the many mermaid hoaxes present on the internet, and decided that such compelling photographic evidence is nothing more than an elaborate prank played by some artists. After all, we saw how the Brits took crop circles to the next level in recent years, performing complex patterns that only a few years ago would be deemed impossible. Readers are now divided in two sides: those who consider the presumed mermaid corpse to be real, and those who believe it’s nothing more but a dead seal. These last assumptions are based on the fact that a considerable colony of grey seals have made their home not far away on England’s eastern coast. Oh, and let’s not forget the advocates of the prank hypothesis. Side note: The aquatic ape theory proposes that the evolutionary forefathers of modern humans underwent a series of mutations under a harsh climate change that kept them in a wet environment. As a result, several researchers have proposed that these ancient hominids could have adapted to the marine environment, thus evolving into what we today know as mermaids. What do you think to be the case? Sorry for the inconvenience. We have noticed that yet another video has been removed from youtube, and the account has been terminated. Therefore, the below video has been removed. If you come across another video, please update us with the link. Thank you four your on-going support.